A well-established construction company is currently looking for a Contracts Manager to join their team in the Gauteng region as soon as possible. Suitable candidates will have ... a suitable qualification relating to building. Suitable candidates are required to have 10 years of relevant experience with a Construction Company working on Building projects. Very big construction company requires a Civil/Concrete Construction Manager. Candidates should have a tertiary qualification and have experience of at least 7 years. The standard deviation of salaries for the results of this search is 283,702. There are 158 current live Construction Company jobs in Johannesburg available immediately, compared to 11 in West Johannesburg. 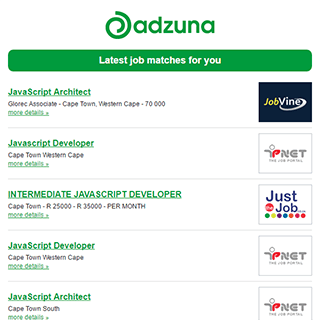 Get the latest Construction Company Jobs in Johannesburg delivered straight to your inbox!